James Raphael Gavin III is a clinical professor of medicine at Emory University School of Medicine and at the Indiana University School of Medicine. He is currently CEO and Chief Medical Officer of Healing Our Village, Inc. and serves as a director for Baxter International, Inc., Amylin, Inc., and Nuvelo, Inc. Previously he was president and CEO of MicroIslet, Inc., San Diego, CA; president of the Morehouse School of Medicine; senior scientific officer at the Howard Hughes Medical Institute (HHMI); and director of the HHMINIH Research Scholars Program. 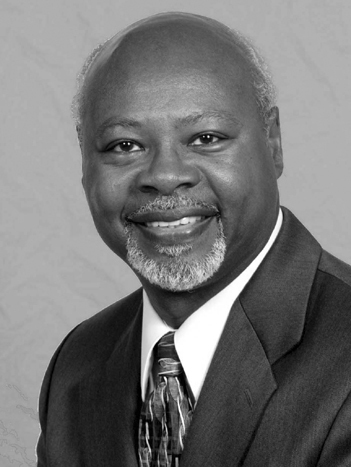 He served as national director of the Harold Amos Faculty Development Program of the RWJF from 1993 to 2013. Dr. Gavin is a member of the National Academy of Medicine, the American Diabetes Association (ADA), the American Association of Physicians, and the Sigma Pi Phi Leadership Fraternity. He is a past president of the ADA, a trustee for Emory University and for Livingstone College, and a trustee emeritus for the Robert Wood Johnson Foundation (RWJF). Dr Gavin has more than two hundred publications, including two books: Healing Our Village: A Self-Care Guide for Diabetes Control (with L. Coleman) and Dr. Gavin’s Health Guide for African Americans (with S. Landrum). Among the honors he has received are the E.E. Just Award, the R.C. Greenwood Award, the Emory University Medal for Distinguished Achievement, the Banting Medal for Distinguished Service, and the Distinguished Alumni Award from Duke University School of Medicine. He holds a degree in chemistry from Livingstone College in Salisbury, North Carolina; a Ph.D. in biochemistry from Emory University; and an M.D. from Duke University.